Join us at ArtNight Pasadena for an evening of FREE entertainment. Pasadena’s most prominent arts and cultural institutions will open their doors to showcase artworks, photography, dance, music, films, crafts, and more. 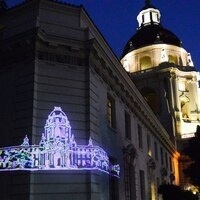 For more information, including a complete list of exhibits and performances, visit http://www.artnightpasadena.org/.